Whether your Holidays were spent in the snow or not, there are some powerful teamwork lessons that snow can teach all of us! Snow is never about the single little snow flake – it’s a total lesson in the power of a TEAM! Snow has a magical quality to me, probably because I grew up in Southern California and didn’t have to shovel it every winter. I spent some time over the holidays in the snow and watching the tiny flakes add up to so much white amazed me at its teamwork. Strength in Numbers – One snow flake won’t do much. In fact, if left alone, a snowflake will quickly melt and disappear. But, when combined with fellow snowflakes, they can turn a green field into white, completely bury giant SUV’s, and bring major cities to a screeching halt. In fact, the power of a snow team is so strong that it’s referred to as a snow storm. Softball Lesson – So my question to you is, are your players training to work together to become a softball storm, or focusing solely on themselves to remain a single softball flake? The power of a team sport like softball, is that you’re not a single isolated snow flake, on your own against the world. Instead, you have the power of a team behind you. You have the ability to combine with your teammates to bury the opposition, to cover for you if you’re having a bad day, and to sometimes even create a softball storm – a powerful display of team softball that dominates the day! Persistence – I’m amazed at what starts out looking like such a weak snow effort with such little flakes can eventually blanket everything in white. In fact, it’s only through the persistence of single snowflakes working together as a snow team that places like Erie, Pennsylvania can have up to 60 inches of snow!! That’s 5 feet of snow!! That’s incredible persistence! Softball Lesson – In addition to their fielding, hitting, pitching and catching skills – are you working on your team’s persistence? Are you creating practices that help your players keep going when things get tough, or when they’d rather stop, or when they don’t feel their efforts matter. Help them see the power of a combined effort that can equal 5 feet of individual snowflakes. Toughness – It’s gotta be pretty cold in order to snow, so snow has to be really tough! In fact, snow is so tough it requires special clothing. People have to go out and “bundle up” against it, wear gloves and scarfs and jackets – even masks. It’s not one snow flake we’re dressing to combat, but the power of a team of snowflakes. It’s this team effort of snow that has launched entire outerwear companies. Sure, some snowflakes are bigger than others, but nobody bundles up against that one superstar flake. It’s the teamwork of all sizes of snowflakes combined that we are bracing against. Softball Lesson – Is your team tougher together than they are individually? Is your team tough enough mentally, physically and softbally (I know it’s not really a word) to come together when the environment gets tough, or will they come apart and melt as soon as they hit the ground? Your players have the ability to come together and create a force that requires the other team to “brace themselves” in order to face you. Just as no single snow flake is the super flake, no single player is the super player. 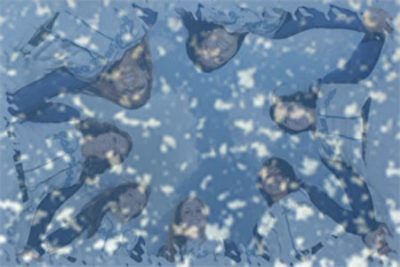 It’s a team of flakes that creates the toughness of snow just as it’s a team of players that can create the power of your softball team. Fun – And finally, snow is fun! Ask any kid and they’ll tell you they want to go to the snow! Snow brings up thoughts of snow angels, Christmas time, snowball fights, skiing and snowboarding, and family. I realize this might be more a kid’s view of snow, but there are tons of ski resorts packed with adults who enjoy spending time in the snow as well. And while those of you who live in snow know the work involved to shovel or blow or simply move it, snow has a special emotion about it because it reminds us of FUN, and we’re never too old for fun! Softball Lesson – So while being a good softball player and team requires work, it must also include an emotion about it that’s FUN! If we don’t see the work as important and never make time for the snow angels, then we’ll grow to hate the shoveling and eventually hate the snow. In other words, if we don’t see the work as important and we never make time for the fun, then we’ll grow to hate softball practice and eventually hate softball. As you finish your holidays and prepare for another softball season, think about how you’re going to help your players work together to become a team. How can you bring all the individual snowflakes together to harness their collective power by fostering their Strength in Numbers, Persistence, Toughness & Fun!